Provide progressive low-load force to improve wrist motion between neutral and 60° extension. The Progress-Plus™ Wrist Extension Turnbuckle Orthosis hand and wrist portion is made of high-density foam with a malleable metal frame. Forearm portion made of molded Kydex® material. 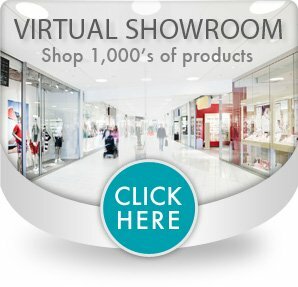 Orthosis includes a foam liner padded with terry cloth for added comfort. D-ring straps ensure snug fit and correct placement using Progressu designed hook tab ends. Provides static progressive positioning between 0° neutral and 60° extension, infinitely adjustable by turning the turnbuckle. Simply twist the turnbuckle to apply incremental, low-load force to reposition the wrist joint. 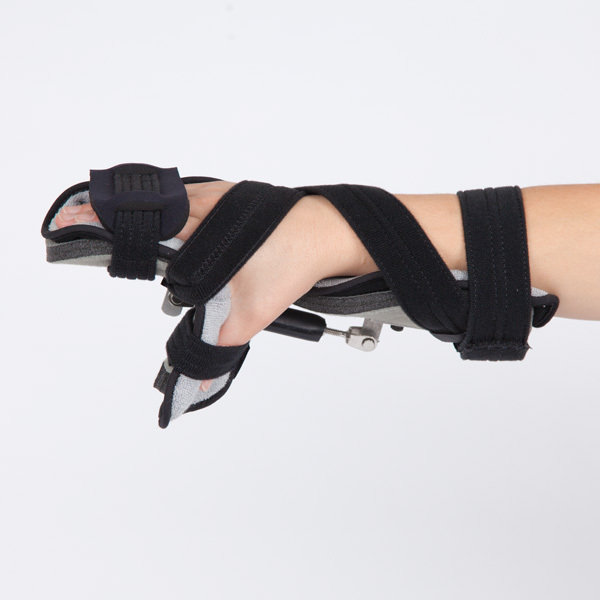 Ideal for contracture management, returning wrist and fingers to a more functional position. 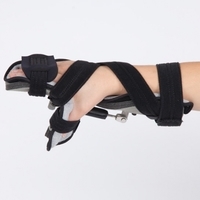 Initially, the users' fingers and wrist should be able to be passively extended to neutral. To size, measure width at MP joints.